I’m excited to announce that the second book in the Alec Stover mystery series – Access Denied – is now available! It was really fun to get back into this series. I actually started this book several years ago but put it on hold to work on Timebox and One and Done. It was fun to reconnect with Alec and Emma and see what they’ve been up to while I was gone. This book was about 75% complete when I stopped working on it, so it didn’t take that long to finish it. 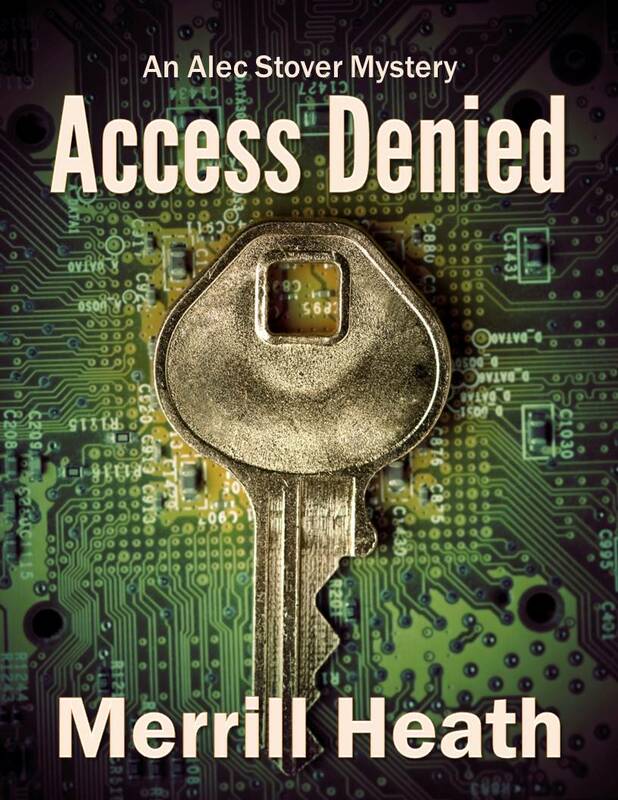 For more info on the availability and to read an excerpt from Access Denied, click here. In addition to this book, I’m also working on book three in the series, Fast Eddie. It should be available this fall. Check back for updates. I’m excited to announce a new series – the Kyle Barrymore Mystery series. This series will be a little more introspective, with more character development as the main character, a homicide detective, works to get his career back on track after a few missteps while dealing with the death of his wife, Meg. His relationship with his daughter, Annie, is somewhat strained over events surrounding Meg’s death. And he’s been assigned a new partner who is being fast-tracked for political reasons. Currently I have five novels planned in the series with more possible if it catches on and develops a loyal following. The stories will be more character driven than plot driven, like my previous novels. But that isn’t to say the novels won’t present fun, interesting crimes to solve. The first novel in the series, One and Done, is a classic locked room mystery. I hope you’ll check it out. For more info on the availability and to read an excerpt from One and Done, click here. Synergistic Escapes, Inc., has developed technology that allows people to experience a virtual vacation that is amazingly realistic. Not only that, but the time ratio is approximately 40:1. One minute of real time is the equivalent of forty minutes on a virtual vacation. If this technology was deployed in the business sector it could make the 40-hour work week obsolete. Students could get a college degree in less time than it takes to complete one semester in real time. Business executives could complete an MBA in a month. A person could become fluent in a new language in a couple of weeks, could learn the skills required to start a new career in only a few months. The ramifications are far-reaching indeed. But what about quality of life issues? What if you could avoid the effects of a debilitating disease or aging or a terrible accident that left you physically crippled by spending time in a virtual world where you were eternally young and in perfect health? What if you could spend time with a loved one who had died? At what point does the virtual world become an alternate reality that can be used to avoid the harsh realities of life? Timebox is a technological thriller that explores the moral and ethical dilemmas a virtual world presents. Earlier this month, when I was thinking about writing goals for 2014, I realized that I didn’t publish anything in 2013. I worked on several books. I outlined several others. But I didn’t publish anything new. I also didn’t post anything new on this blog. I plan to do better in that regard this year, as well. So this year I plan to make up for that. My writing goal for 2014 is to publish something every month. I have several books I need to finish. I have ideas for other books that I want to write. And I even have a couple of Dad’s books that I want to publish as ebooks. So, while publishing something each month will be a challenge, it’s not unreasonable. Of course, I also have an ever-growing “honey-do” list that could interfere. I’ll just have to make a concerted effort to keep everything in balance and stay busy…on both fronts. To start “the year of publishing dangerously” I’ve decided to publish Timebox as a serial novel. This is an idea I’ve been kicking around ever since I got the idea for the novel. In fact, I’ve been back-and-forth on the serial novel concept so many times it’s silly. In light of my goal for this year I’ve committed to publishing it in four parts – one each month, January through April. It will be interesting to see how that works since I’ve never written anything under this kind of deadline, albeit self-imposed. Perhaps that’s why I have about half a dozen unfinished novels on my hard-drive. Well, it’s time to clean up and complete a couple of those unfinished novels, write a few new books, and get busy building a list of quality books for my fans – all four of them – to read. This should be fun and make for an eclectic list of titles. 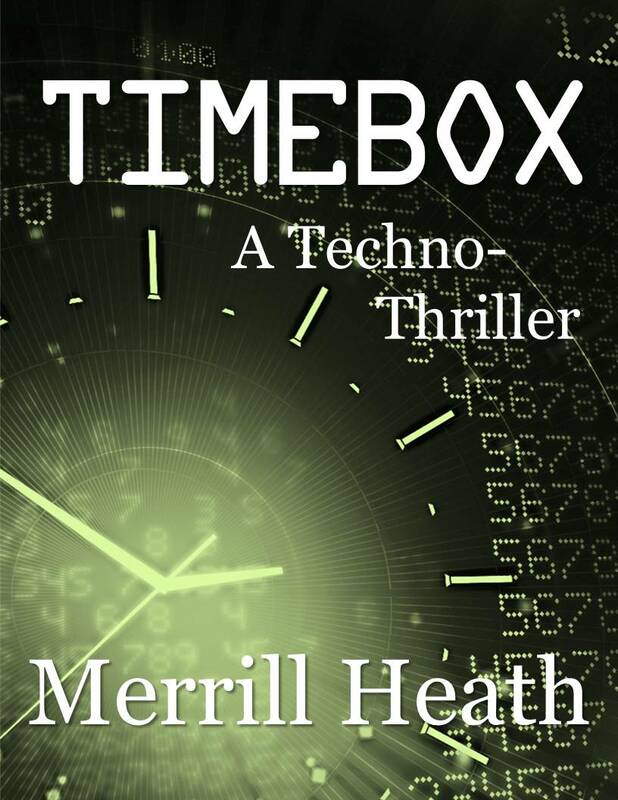 Timebox will be a technological thriller. I also plan to publish two more Alec Stover mysteries. These are hard-boiled detective stories. The books by my father that I want to publish are young adult books. And I’ll probably round it out with a few short stories that are more literary in nature. Who knows? Maybe Timebox will take off and I’ll get a sequel done by the end of the year. Any way you figure it, this should be an interesting year. I’m excited about it. I hope my enthusiasm is evident in my writing. P.S. For those who might be curious about the title of this post, the Mel Gibson movie, “The Year of Living Dangerously,” is one of my favorite movies. Since I’m kind of taking an approach this year of not over-thinking my work too much, I thought that was a fun title. This year my plan is to write, edit, publish, and move on to the next project. I don’t want to over-analyze anything. I don’t want to rewrite anything 15 times to get it “perfect.” Write it. Edit it. Publish it. Take a few risks. Publish dangerously. When my father started his writing career there was a great demand for short stories. Publications such as The Saturday Evening Post, Collier’s, Argosy, Esquire, even Cosmopolitan published short fiction in every edition. There were weekly and monthly publications that were always looking for good material. It was a great way for a writer to build his portfolio and make a name for himself. This is exactly what my father did. In fact, prior to the publication of Violent Saturday, he published dozens of short stories. That opportunity didn’t really exist for me. When I started trying to get my stories published there were a few literary publications that bought short fiction, but the competition was fierce and after numerous rejections I quit writing short stories altogether. However, now the market for short fiction is expanding. The evolution of ebooks and ereaders has provided opportunities for inexpensive distribution, resulting in a resurgence in the popularity of short fiction. This anthology includes twelve pieces by my father and me. When I looked through my library to decide which shorts to include, I selected stories that offered a broad range of subjects and styles. They vary in length from one-page vignettes to short stories that are anywhere from five to twenty-five pages in length. They also cover a broad span of time. Several are stories I wrote more than thirty years ago when I was in high school. 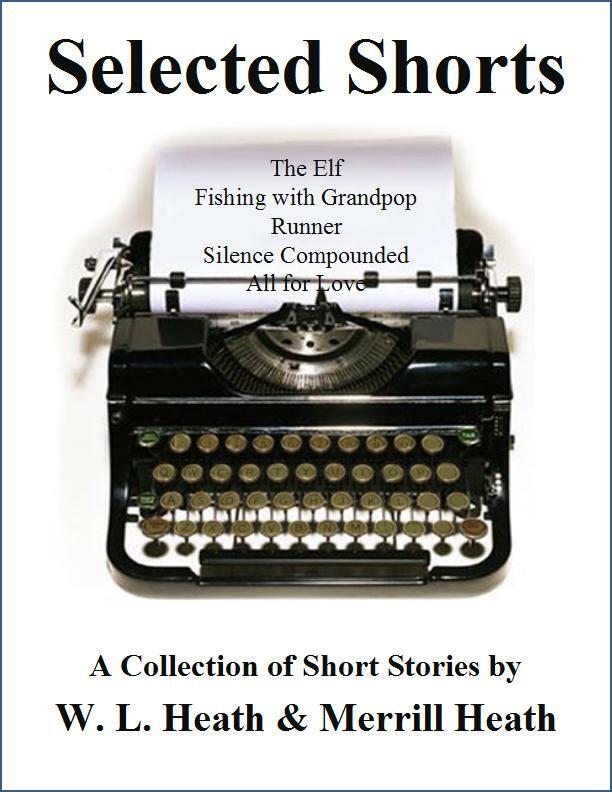 I’ve always enjoyed reading and writing short fiction and it’s my pleasure to present this anthology of twelve selected shorts. I hope you enjoy them. It is my pleasure to introduce you to a new novel by my cousin, Ellen Heath, entitled The Inheritance. Born in Mississippi and raised by her late aunt in a Tucson trailer court, Martha Stahlings has created a very successful life from a humble and mysterious beginning. Now a death in her husband’s family is giving her the opportunity to return to her roots in the South to find out who she really is. 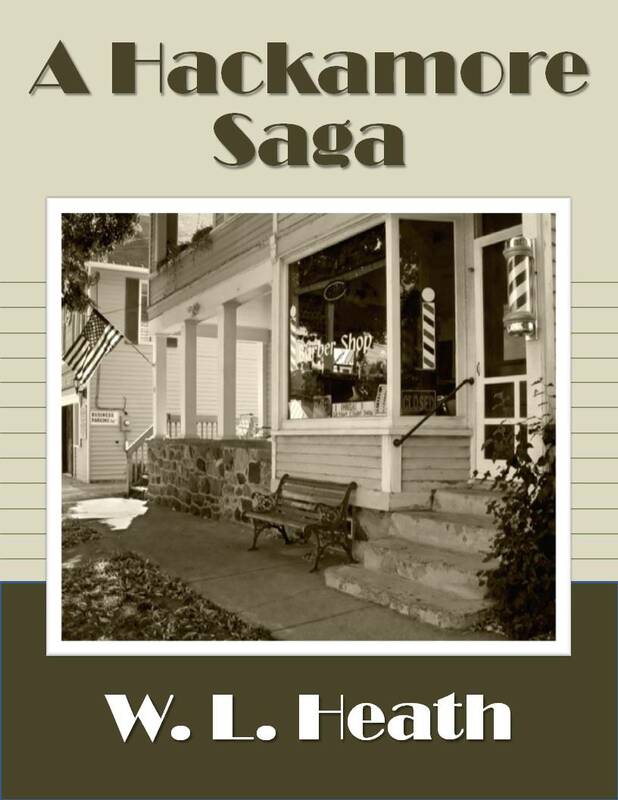 During a dramatic, one-week visit in a small Alabama town, Martha and her husband, Sam, must decide whether he will return to take over management of the William Bennett Stahlings Memorial Hospital. As the week with Sam’s unusual relatives progresses, Martha is torn between the promise of a wonderful new life and harrowing discoveries that could turn it into a nightmare. Some of you will remember this book as The Good Old Boys, published in 1971. Dad never liked that title, so I’m happy to publish it with his title. Many people approached Dad after reading this book with comments like, “I know who (so-and-so) is.” Or, “You know your story about (so-and-so) wasn’t exactly right.” Needless to say, his friends and acquaintances thought the story was about Scottsboro and its residents. Although Dad’s life there undoubtedly fueled his imagination, the story and characters are fictional. A Hackamore Saga is a wonderful collection of funny, touching, and very entertaining stories. If you grew up in a small southern town, or even just spent time in one, this book will resonate with you.